The Vatican Tapes is this summer’s exorcism thiller. There has been a trend of exorcism horror films that have done well at the box office, says Screen Rant. Movies such as The Last Exorcism and Deliver Us from Evil are two of the more prominent and successful films in this niche. However, according to MovieWeb, this particular priest versus demon standoff will join the ranks as the scariest movie of the 2015 summer. The Vatican Tapes portrays the ultimate strife between good and evil, says Rotten Tomatoes. It follows a 27-year-old woman, Angela Holmes, as she begins to experience horrific effects. These effects primarily include injury or death to the people close to Holmes. Upon closer inspection, she is suspected of being possessed by a demon. After which, the Vatican decides they must perform an exorcism on Holmes. However, it turns out this is no ordinary demon. Holmes is possessed by an ancient powerful evil, the Antichrist himself. Ultimately, it comes to down Father Lozano to go head-to-head with this evil and save the world. The cast and director of this summer’s exorcism have made names for themselves in previous projects. This horror film stars Michael Peña, Olivia Taylor Dudley, Djimon Hounsou, and Dougray Scott. Peña, of Fury and Shooter, plays Father Lozano. Dudley, from Chernobyl Diaries, portrays the possessed soul. Guardian of the Galaxy‘s Djimon Hounsou plays Vicar Imani, who attempts to exorcise the demon from Dudley. Lastly, Dougray Scott, of Mission: Impossible II, plays the part of Roger Holmes. Furthermore, the director, Mark Neveldine, has assisted with Crank and Ghost Rider: Spirit of Vengeance. The Vatican Tapes is his first solo directing project, according to Screen Rant. In addition, the screenplay was based on an idea by Chris Morgan. Morgan was involved in writing Fast & Furious 6 and Wanted. The hype for this horror film has been growing as the premiere date approaches. MovieWeb claims the sneak peak alone, “…may just be too scary for some of you to handle!” Screen Rant says the trailer, “…is just as eerie as one would expect.” The website further predicts the movie will not fall short on visuals or horror thrill with Neveldine directing. If he brings the same level of work he has brought in his previous projects, then this horror film will be a must-see exorcism. Despite the growing buzz, the movie will have to share theatres with other anticipated films on its premiere weekend. Pixels starring Adam Sandler, Kevin James, and Peter Dinklage comes out the same weekend. Other films premiering include Southpaw featuring Rachel McAdams, Jake Gyllenhaal, and Forest Whitaker, as well as Paper Towns with Cara Delevingne and Nat Wolff. Although, according to Erik Kain of Forbes, “‘Pixels‘ looks truly terrible.” While there are notable movies coming out the same weekend, it does not seem the competition is as strong as one would expect. With some considerable reviews and a notable cast and director, it seems this thriller film will not disappoint. 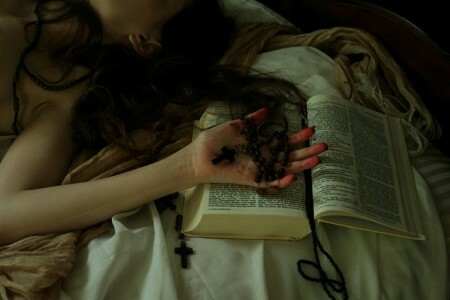 For horror fans interested in see this summer’s exorcism, The Vatican Tapes premieres July 24. Screen Rant: ‘The Vatican Tapes’ Trailer: The Devil’s Plan Will Be Revealed by Robert Yaniz Jr.